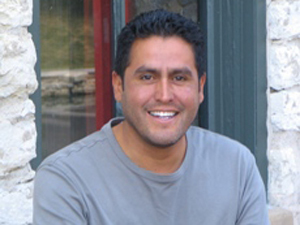 Michael Pujado,a native of Chile, has lived in the United States since 1989. Michael has been playing music professionally since the age of 16. Michael currently plays with some of Omaha's top musicians- The Confidentials, Heidi Joy, Matt Wallace and the Gulizia Brothers. Michael's residency activities include teaching of Latin America culture as well as Latin rhythms and percussion instruments. He introduces students to all aspects of percussive instruments; their construction, history, care and maintenance, as well as tuning. Students learn about rhythms, phrasing and tones. Michael can adapt his residencies to students of all ages and experience levels.